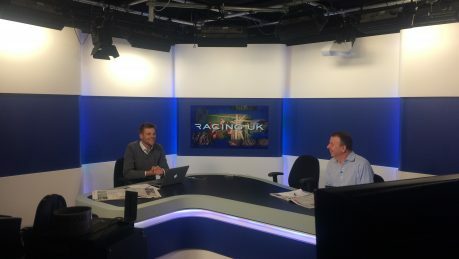 Racing TV - Timeline Television Ltd.
Racecourse Media Group wanted to upgrade its flagship Racing TV channel to HD and migrate operations for a further four channels including betting shop service Turf TV to modern robust tapeless workflows fit for the 21st century. When horse racing specialists RMG sought a technical partner to help then make the jump to HD and tapeless, they turned to thoroughbred workflow solutions provider Timeline TV. The brief was clear; in line with their ambition to be the leading provider of subscription based horse racing, the entire production chain needed upgrading to High Definition and the aging tape based workflows modernizing. As well as the Racing TV channel, the scope including betting shop service Turf TV and the three joint venture international channels, Great British & Irish racing (GBI). Timeline built RMG a dedicated fresh facility comprising five production galleries, with associated sound control and voice over booths, three Final Cut Pro edit suites, an 800 sq ft studio and Master Control Room. Crucial to the operation is the Timeline TV signature tapeless production system powered by three EVS XT-3 servers with a unique interface to a 256TB SAN. EVS operators and producers use EVS IP director to manage incoming and archive media, making clips, building playlists and sending content to the Final Cut editors. MCR staff also use IPD for media management and IP Archive for the archive and retrieval of clips into the deep storage LTO-5 tape robot. A key part of the EVS IPD implementation is automated data handling, helping to keep the operation as efficient and consistent as possible. Racecourse data feeds automatically populate the IP Director database with race card and results information as well as driving on screen graphics creation via Chyron HyperX character generators. Longevity of the facility was crucial to the design, so core products such as the Evertz EQX router and infrastructure products are 3G capable. The dual set studio is equipped with three Shotoku robotic cameras with touch screen control units allowing dual operation from the galleries or MCR. Naturally, vital services such as the power supply are fully protected, with a local UPS (uninterruptable power supply) and generator providing full resilience. 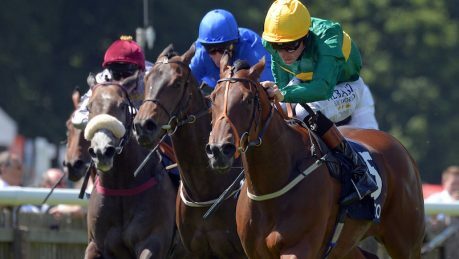 The racing is delivered to Ealing via 18 lines on a route diverse BT JPEG2000 MPLS network which has the advantage of minimizing picture latency, an important consideration in the racing / betting industry. Produced programme feeds will be fed via BT Tower for transmission to residential, commercial and overseas subscribers. Against challenging build timescales of just three months, the channels moved to Ealing in February 2012, on schedule, for the start of a seven year partnership.